So, how did you feel when you found out that you were pregnant with twins? Nervous, excited, terrified to your very core – maybe all of the above? Let me assure you that there is nothing to be terrified about with your twin pregnancy, as with the correct care, management and monitoring you should feel informed, cared for and supported at all stages of your pregnancy. It’s such an exciting time! One of the most essential things for you to do in the early stages of your pregnancy is to ensure you are receiving the best possible care for you and your babies. 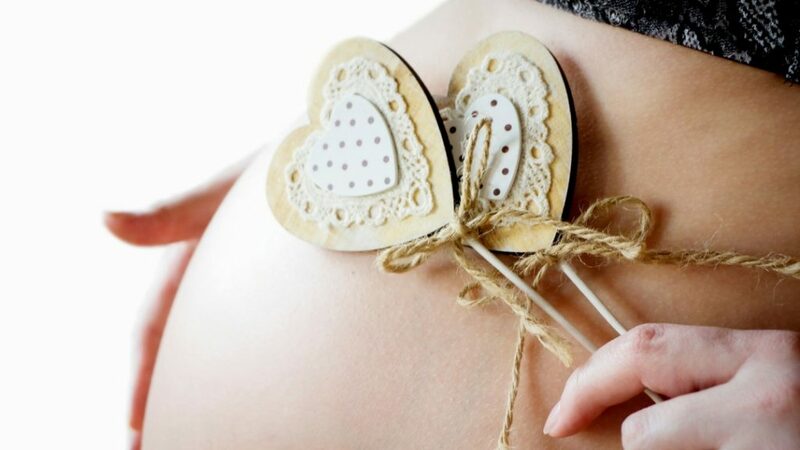 All twin pregnancies are considered a high-risk pregnancy so your midwife or GP is REQUIRED to recommend that the responsibility for your care be transferred to an obstetrician or a high-risk pregnancy specialist/team at your nearest hospital as soon as you discover you are having twins. Your babies are far too precious to take any risks so insist on this if it is not suggested or discussed. You will have the option of maintaining your relationship with your midwife under a shared care arrangement, but the specialist will become clinically responsible for your care throughout your pregnancy. You can read more about choosing an LMC here. What are NICE Guidelines and why are they important? NICE stands for The National Institute of Health and Care Excellence and they provide clinical guidelines to the NHS in the UK and many other countries around the world on the standard of care required for managing twin and higher order multiple pregnancies. What the guidelines cover are things like how many times you should be seen during your pregnancy, how many scans you should have and at what stage, and at how many weeks you should expect to have your babies etc. These guidelines are determined by the type of twins you are having – fraternal or identical as the monitoring plan can be quite different. Before we get into the nitty-gritty, it is really important for you to know that you have to be happy with your care plan. The top priority is your health, and the health of your babies. If you are not comfortable with the advice you are being given, or the plan that is being put in place for you, then you are well within your rights to question it. Your specialist team should explain the benefits and risks of each aspect of your antenatal care to allow you to make informed decisions for your personal situation. All treatment and care should be given with your informed consent, and you can choose to involve your family only if you want to. Right, I think we have sufficiently hammered home that you certainly have options in your care plan, and that you have the power to decide what is best for your circumstances. Let’s dive into the care you can expect during your pregnancy. Most Mums will experience a healthy and normal twin pregnancy. But because the risk of complications is higher for you and your babies, you need to be monitored more closely than a singleton pregnancy. During your pregnancy, you will attend a number of medical appointments and scans. The actual number is determined by the type of twin pregnancy, and your personal health and situation. If you would like to check out some more information on the types of twins, then you can check out our article here. The number of twin types may surprise you! The first key part of your antenatal care will be determining the chorionicity of your pregnancy. That means if your twins have their own placenta, or if they are sharing one. Your LMC will be able to determine this during your first scan at around 11-13 weeks. It is important to get this scan done early as once you hit 16 weeks sometimes your babies are too large to be able to clearly see the membranes in order to determine accurate chorionicity. Dichorionic: means that your babies each have their own placenta. They are also within their own separate sac which has an outer membrane called a chorion. Monochorionic: means that your babies share a placenta and a chorion however they could be in their own or share an amniotic sac. It also means that they will be identical. It is important to determine chorionicity early in the pregnancy, as monochorionic twins have a higher chance of health issues that will need to be closely monitored. Knowledge is power, and it means your LMC can arrange the appropriate care plan for your pregnancy needs. Once your pregnancy has been determined as dichorionic or monochorionic then your doctor or midwife in conjunction with an obstetrician or high-risk pregnancy specialist will devise a care plan for you. You will first meet with the specialist who will give you information on what to expect in your pregnancy, and how to recognise any issues. You can read about some of the more common twin pregnancy issues here. 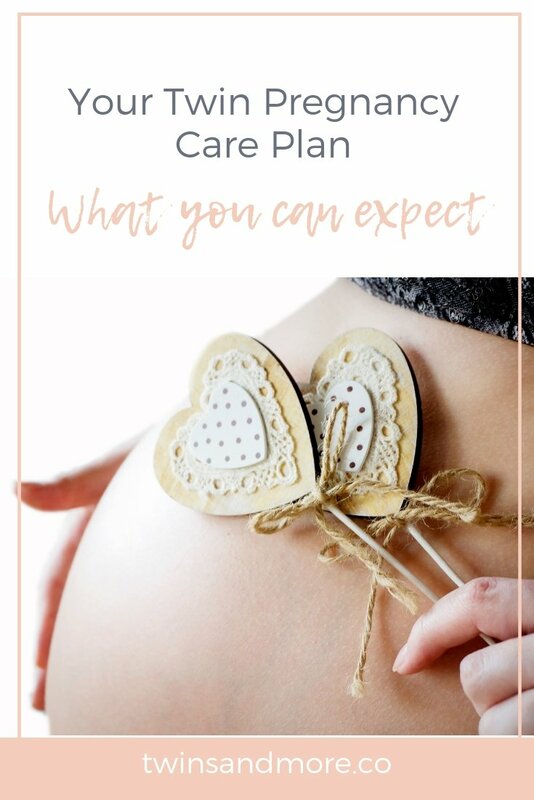 Then any follow up appointments with either the midwife or specialist will be focused on monitoring the health of yourself and your babies, and devising a birth plan at around 29-32 weeks. At this appointment you will also discuss a proposed induction date assuming your babies don’t decide to make their way into the world early. You can read more about the latest research on twin pregnancy durations here. Your first appointment will take place between 11 and 13 weeks. It will be accompanied by a dating scan and a test for Down Syndrome and other chromosomal monitoring. After that first appointment, you can expect to attend at least 7 more appointments and scans on a monthly, then two-week frequency for the latter part of your pregnancy. There will be a scan to test for anomalies between 18 and 20 weeks. Then, you will attend growth scans and appointments at 16, 20, 24, 28, 32, 34 and 36 weeks. You can expect the same initial and dating scan appointments as a dichorionic pregnancy. However, you will attend at least 8 more appointments and growth scans every two weeks at around 16, 18, 20, 22, 24, 28, 32 and 34 weeks. You have a higher risk of developing Anaemia (low iron) or Pre-eclampsia (high blood pressure associated with pregnancy) with a twin pregnancy, so can expect regular monitoring for these two things also. It can all sound very scary when you are at the start of a twin pregnancy and the list of medical appointments, ultrasounds and tests stretch on before you. Rest assured that all of these appointments are designed to provide you and your precious babies the best possible care throughout your pregnancy. At any point during your care, you are able to flag your concerns if you have any. Enjoy this exciting time, and the very best of luck from us at Twins and More! How is the Twin Z Pillow different to other twin breastfeeding pillows? What if your twins need formula? Twin Types – Did you know there are ELEVEN of them? Hey, I'm Anna, the twin mama behind Twins & More. 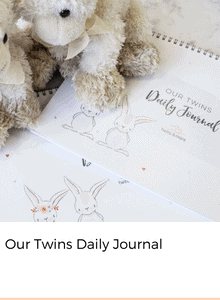 I created this space for YOU - where I hope to nurture, support and inspire you through your twin pregnancy and your first years as a new mama of twins. Welcome and I hope you enjoy your visit.